Experience Jak 3 for PS2™ system with 1080p up-rendering and Trophies. 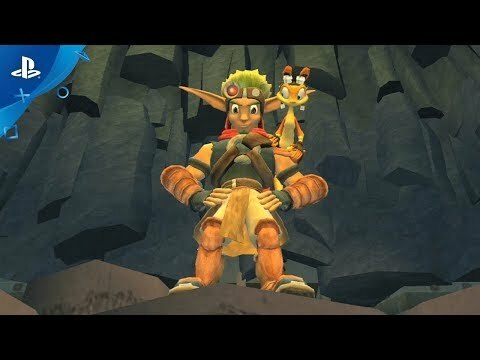 Jak and his faithful companion Daxter are thrust in the middle of an unforgiving Wasteland where survival of the fittest takes on new meaning. With potent weapons, armor, and vehicles, Jak also discovers that there is an emerging power inside him - the ability to balance Dark Jak and Light Jak. Questions about the mysterious Precursors, the mythical Mar, the fate of the world and the enigmatic Jak himself will be answered, as this most exciting adventure unfolds. Experience Jak 3 for PS2™ system with 1080p up-rendering and Trophies. Additional enhanced features include Shareplay (active PS Plus membership may be required), Remote Play, Activity Feeds and Second Screen support for game manuals with PS Vita or PlayStation App. © 2004 Sony Interactive Entertainment LLC. Jak 3 is a trademark of Sony Interactive Entertainment LLC.